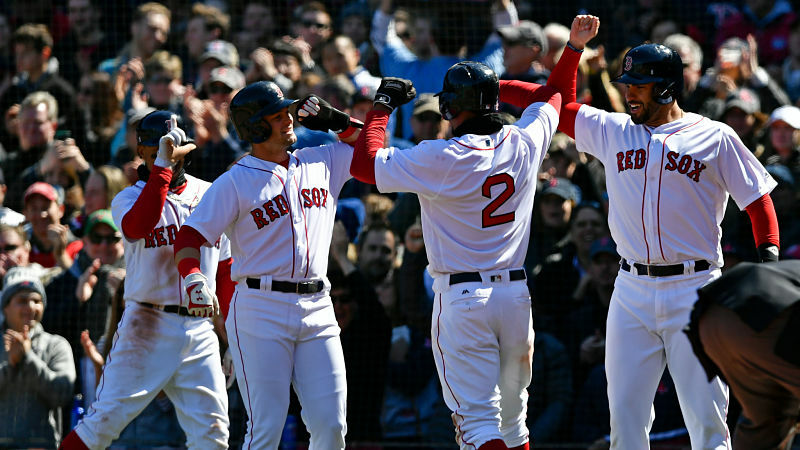 If you watched Red Sox baseball this past week, you should have seen a trend forming. All week great starting pitching was followed by the bullpen crapping themselves. The stats in the last seven days can support this claim, as Sox starters have had a 3.11 ERA with a 1.06 WHIP. Sox relievers have had a 6.06 ERA with a 1.59 WHIP. This has been frustrating to watch and almost makes us forget about Jackie Bradley Jr.’s woes at the plate. The full season’s numbers don’t paint the same story, however. Sox relievers in the entire season have posted a 3.76 ERA and 1.25 WHIP. Starters also going on to average 3.49 ERA and 1.14 WHIP. Clearly, we can justify this by saying the obvious: The Red Sox bullpen had a bad week. They were not clutch and they did not throw quality strikes. More was expected from this quality pitching staff. The only way from here is up and the quality is ahead of us, folks. We have seen this bullpen do tremendous things when they try. Carson Smith is finally turning the corner, posting a 1.04 ERA in the last 28 days (11 games) with 12 strikeouts and one earned run. 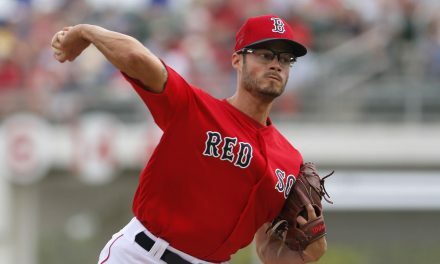 In the same sample size, Joe Kelly has posted a 0.77 ERA with 16 strikeouts and one earned run. Don’t forget, more help is on the way. 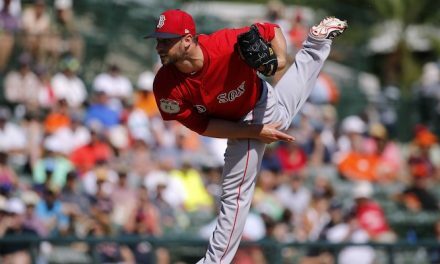 Tyler Thornburg is set to begin his rehab assignment in Triple-A Pawtucket on Monday 5/14. Steven Wright is also slated to join the Sox on the same day. A much needed depth will be added to this bullpen, but what can we expect from the two? Thornburg hasn’t pitched in a major league baseball game since 2016. Even then, I’m sure Cora will be using him sparingly since he’s apparently made of glass. Even Wright, who has recovered fully from his left knee injury and served his 15 game suspension for domestic violence, will be a mixed bag of results. Also, at some point, Bobby Poyner should be getting called back up as well. 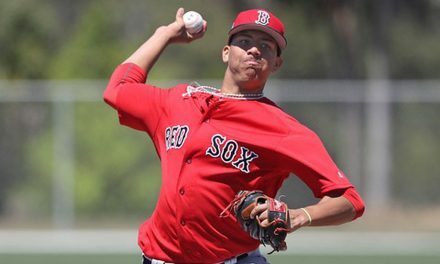 Poyner posted a 2.25 ERA in seven regular season games with the Sox, and even has a 1.42 ERA in six games with the PawSox. If anybody outside of Brian Johnson slips up, expect to see Poyner in the big league bullpen for the majority of the season. Dealin’ Dave at it Again? What if this all doesn’t pan out the way we expect? 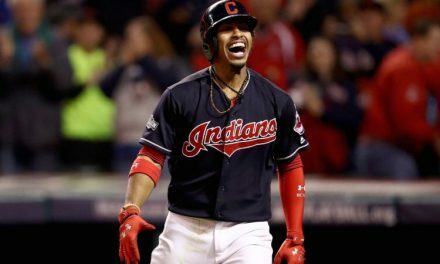 There will be trade activity around the time of the deadline (or even sooner) and the Red Sox will be involved one way or another. Kelvin Herrera and Jeurys Familia are two names that will probably finish the 2018 season with a different team and are two pieces that can really bring a bullpen to the next level. Yes, both are closers and both are eligible for free agency in 2019, so they would be rentals. However, the Sox obviously wouldn’t dare move Craig Kimbrel from his job in the pen. The Mets and the Royals both seem to be trending downward quickly and I would be shocked if they were playoff contenders this season. Also, both teams could use an outfielder which could potentially prompt a JBJ trade. Familia is known for his sinker which averages at 97 mph and Herrera for his 89 mph changeup. Also, they have been in the spotlight before as they actually faced each other in the 2015 World Series. That last part is something the Sox bullpen lacks: clutch factor. Overall, these two players will find another home this season acting as rentals. The New York Yankees are also in the same boat as the Red Sox for the fact that their bullpen hasn’t been the best either. Also, going off of last year, the Astros bullpen may not be the best as well. All in all, the Sox won’t be alone when it comes to bolstering their relief pitchers, but hopefully this bad week has been a wake up call to the front office.